If you know me, you know it’s no secret I have a love affair with cheese. During the holidays, my favorite appetizer is the cheese platter. I love all kinds of cheese, too. My taste buds do not discriminate. Stinky cheeses (or as most people call them, pungent or footy) are my absolute favorite, actually. 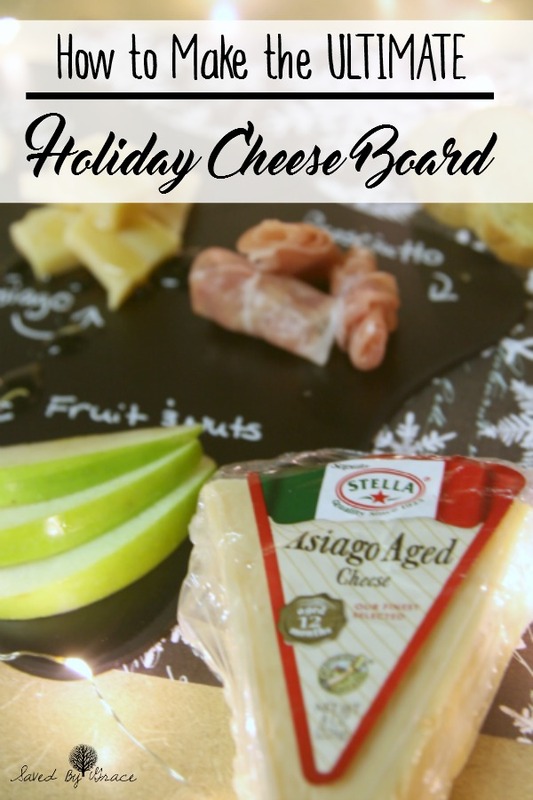 This holiday season, why not let Stella Cheeses help you create the ultimate cheese plate? 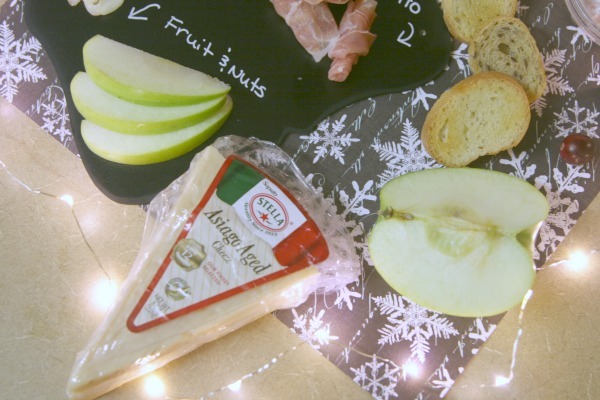 Creating a Stella cheese board takes some finesse. You can’t just throw some cheese on a plate and call it good. There is a formula that makes sure that all the flavors mix together well and treat your guests to a wonderful tasting opportunity! You can use Stella Cheese varieties to create the best cheese plate out there and with a little creativity, things will really take off. Here is the formula I personally use as well as my selections of Stella Cheeses to add to your plate. 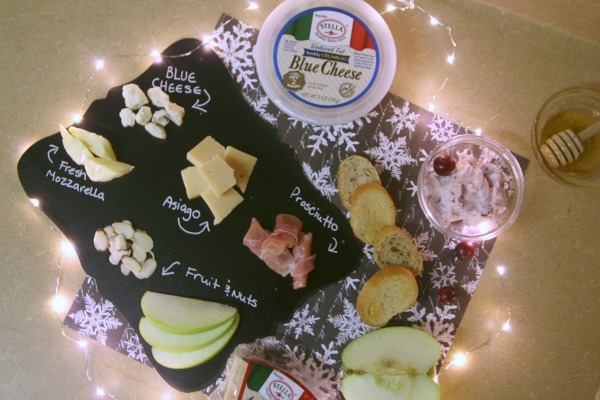 Assemble your tray so that all the cheese varieties are marked and presented well. Add on some meats. I like to use a variety that is smoked or cured so it is safe to lave out for the party such as prosciutto. Provide your guests with a spread or even just jam. Keep some toast or crackers near the plate for easy eating. Add some fruit and nuts to the tray. These help cleanse the pallet between bites. For my tray, I even got some fairy lights to add a bit of holiday charm. 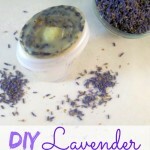 These are inexpensive and run off of a battery pack that can easily be hidden under some napkins or a tablecloth. To create the ultimate cheese tray for the holidays, I also made a seasonally inspired spread by mixing fresh cranberries and cream cheese together. For pungent cheeses like Stella’s Blue Cheese, I provided some honey to drizzle as well. A smooth and Soft cheese such as Stella’s Fresh Mozzarella. A Rich and Tangy cheese such as Stella’s Blue Cheese. A Sweet and Creamy Cheese such as Stella’s Fontinella. Fruits to use include grapes, green apples and pears. For nuts, try almonds or cashews. Meats include prosciutto, salami and summer sausage. 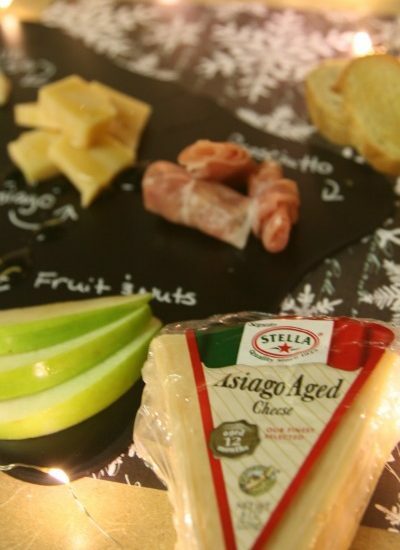 Whatever you decide to have on your plate this holiday season, make sure to check out Stella’s Cheese varieties. And since nothing really pairs better with cheese than wine, be sure to enter to win a trip to Napa Valley from Stella’s! 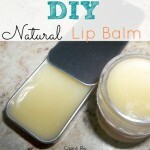 What an awesome how to! 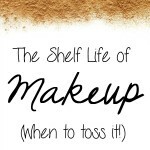 I am a cheese lover myself but never quite know what to put out on a cheese board!